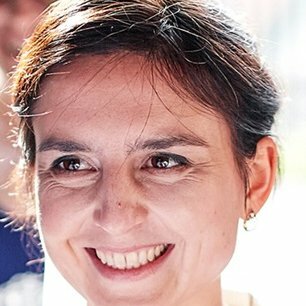 My name is Justyna Zając (nee Huk) and I am a teacher of Mathematics. Besides teaching across Y7-Y13 I take care of the Secondary Maths department and I am Year 12 form tutor. 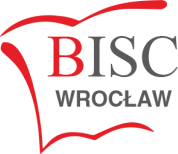 I graduated from Wroclaw University with Master’s Degree in Mathematics, specialization Applied Statistics and Probability, achieving also full teacher qualifications. It is my 10th year at the School. When I try to recall how I felt in the first days of work at BISC, I remember I had a problem to pronounce and remember students’ names. I had just graduated from Uni, I looked like an A-level student myself rather than a teacher and that was causing some funny situations. I wasn’t sure how to use the school photocopier and I had to get used to the fact that I cannot reach the top of the whiteboard. I know I used to be famous for the largest amount of homework and for making the students work very hard even on nice, sunny days, when they just wanted to play – and that I think has not changed up to now (!). One of the aspects I really enjoy in teaching Maths is a constant challenge to convince my students that they are able to overcome the difficulties and solve the problems that at first seem to be beyond their reach. It is a real pleasure to see how young people evolve, develop and become mature. I am pleased that I can work in a dedicated and well prepared team of Maths teachers. We are proud from our students’ results as they achieve high grades in IGCSE Maths and A-levels (Maths and Further Maths). We support students who struggle with Maths and organize clubs for those who want to extend their knowledge beyond the curriculum. We give pupils an opportunity to take part in some Maths contests every year. This year it is Maths Kangaroo, MAT and Wroclaw Contest for Gimnazjum Students.